Compressed package containing photographs used for plumage analysis for Toews et al. 2011. Each folder (breast, crown, face) corresponds to the plumage scores for each of the plumage traits. Each photograph is identified by a unique record number (see supplementary material). Hybrid zones between species provide natural systems for the study of processes involved in divergence, reproductive isolation and speciation. Townsend’s Dendroica townsendi and black-throated green D. virens warblers are phenotypically and genetically divergent groups that occur in western and eastern North America respectively, with potential for range contact in the Rocky Mountains of British Columbia, where other west-east avian pairs come into contact. Although one potential hybrid (a phenotypic Townsend’s warbler with the black-throated green mitochondrial DNA) has been previously reported, there have been no studies of interactions between the taxa in potential areas of sympatry. To determine whether interbreeding between these species is a regular occurrence we examined variation in individuals across the area of putative range overlap. Analysis of plumage, morphology, and mitochondrial (COI) and nuclear molecular markers (CHD1Z and numt-Dco1) shows surprisingly extensive hybridization between these species, with at least 38% of individuals in the hybrid zone being either hybrids or backcrosses. Each of the traits displays a sigmoidal cline centred along the eastern slope of the Rocky Mountains (molecular cline centres averaging 50 km east of the crest of the Rockies, ranging from 41 to 56 km). 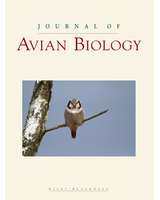 The clines are narrow (average molecular cline width is 60 km, ranging from 40 to 87 km) relative to the dispersal distance of related warbler species, suggesting that selection is maintaining the hybrid zone; we discuss possible sources of selection. Given the narrowness of the zone we recommend the two forms should continue to be treated as separate taxonomic species. Townsend’s warblers also form an extensively studied hybrid zone with their more closely related southern relative, the hermit warbler D. occidentalis. The combined system of three discrete forms separated by narrow hybrid zones provides an excellent system for the study of hybridization, reproductive isolation and speciation.